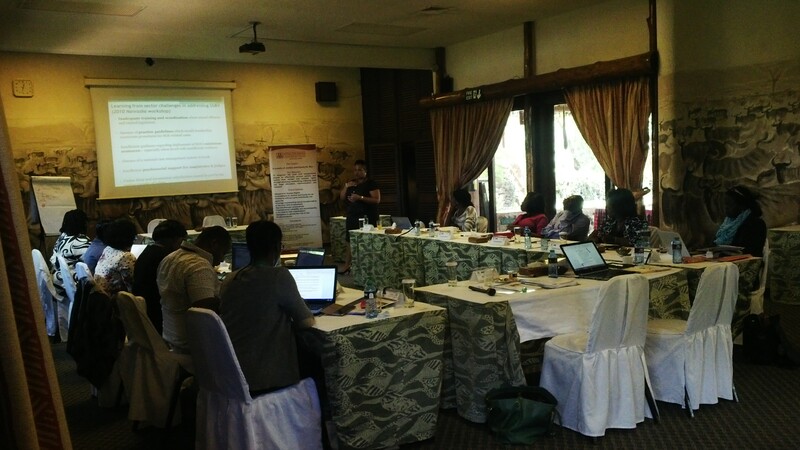 On the 20th – 23rd of May, 2015 , Kituo cha Sheria in partnership with the Judiciary Training Institute and the Public International Law & Policy Group held a retreat to discuss and provide input to the proposed curriculum on Sexual Offences and Gender Based Violence. During this retreat both magistrates and judges gave their personal experiences, some saddening others encouraging on handling SGBV cases. One disheartening case was where a magistrate denied bail to 2 street boys ( adults) accused of defiling a minor, only for the 2 accused to be given bail by the High Court. The discussions encouraged magistrates to make clear observations during the proceedings and for the High Court to make reference to these proceedings before arriving at a decision. ‘There is no judge ( at High Court) in their right mind, seeing all that sordid detail (recorded by the magistrate), see the age of this child, see that that the child has testified and that the evidence is water tight and proceed to give bail, especially when the accused are street persons with no fixed abode” stated Hon. Lady Justice Teresia Ngugi. On a positive note, one judge recounted how she denied bail to an adult female accused of defiling an under age male- there is a misconception that because the accused perpetrator is female, it is easier for her to get bail. The boy child must be protected and not forgotten – sexual violence is not only about protecting women and girls. Examples abound of proactive judges and magistrates who stop advocates from asking victims sexist questions. Also discussed at length was the need for psychosocial support for magistrates and judges who are human, and do get emotionally affected and traumatized by the SGBV cases before them , the need for an inter sectoral approach in matter SGBV , that is linking the roles of the police, the courts, the DPP and prisons. More substantively , the retreat proposed rules to be used as guides when presiding over SGBV matters and what judges can do through CUC’s in raising awareness to the general public about SGBV. A heated discussion was held about situations- which are quite common, where 2 under age children out of curiosity engage in sexual activity, and there being no criminal intent from either party. It was felt by some participants the law punished the boy child unfairly – because in most cases the boy is persecuted and the girl let to go home. In the Teddy Bear Case, the judge found that 2 children within the same age range engaging in consensual sexual activity is not criminal- rather part of the development of young adults.The court struck down as unconstitutional the provisions of the Criminal Law (Sexual Offences and Related Matters) Amendment Act, 2007 that made it a crime for children between the ages of 12 and 16 to engage in consensual sexual activity with other children in the same age range. The retreat was given a shocking reality as to the cost implication of SGBV- from a costing study done by the National Gender and Equality Commission – from a service providers point of view. 1 case of SGBV cost the country KES 45,000. Therefore much more needs to be done to prevent cases of SGBV. Kituo takes this opportunity to thank everyone for the work involved over the years in developing this curriculum, starting with the Kenya Women Judges Association to now the JTI and the robust support by Civil Society. We are indeed closer to having a more sensitized and aware bench on matters SGBV. It is hoped that by the end of this year, the curriculum will have been finalized. Advocacy, Governance and Community Partnerships. KENYA AT 52; THE RIGHT TO BE INFORMED. I recall attending a legal aid clinic in Kiandutu slums at Kiandutu Primary School along the Thika-Garissa Highway on 20th March 2014. The clinic was a brain child of a public interest team of students from Kenyatta University School of Law and AFCIC (Action for Children in Conflict), an organization that sponsors the slum kids through their schooling. I went there in my capacity as a lawyer from Kituo Cha Sheria representing the executive director. Among the most memorable interviews with clients I can remember one stands out as reasonably peculiar but informatively mind boggling. 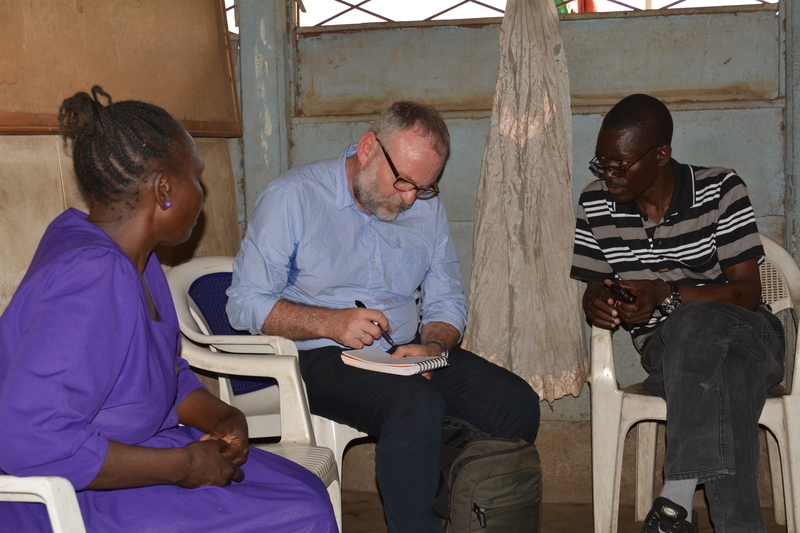 A lady from the local area, Kiandutu slum, walked up to our tent for legal advice at around 2pm. She looked deeply troubled and physically beaten down by her environment and poor diet. In my mind I thought, “Good Lord, life can be tough in the slums.” Despite this, she had managed to find presumably her best piece of tattered dress to come meet these lawyers from the city. Listening to her revealed more troubling stories of ignorance and illiteracy that far exceeded her dilapidated appearance. She spoke of a daughter, her daughter, who had been killed by the husband, a resident in the slum, after a matrimonial dispute. The death was not reported as the ‘good chief’ intervened and resolved the matter out of court; by officiating in the making of a verbal contract for compensation to the lady for wrongful death of her daughter. As is the nature of such agreements, the accused perpetrator of the crime possibly entertained the local chief in one of the late night drinking dens in the slums and the agreement was forgotten. For the mother; she counted the loss of a daughter and any possible monetary compensation to wipe her tears away. At least that’s what a suit for compensation for causing wrongful death is meant to achieve at the very least. The issue however was explaining to my client that despite her entering into a void contract from the very beginning she could also face arrest for not reporting a death and conducting the burial without a burial permit. The above brief story reflects among the many encounters and challenges legal aid providers face. Taking the above example, the crime went unreported and the killer walked free. The authorities were informed, the chief, they did nothing. The gravity of their actions was possibly incomprehensible to them. As our founding fathers stated, “God bless this country that we may eradicate it from IGNORANCE, POVERTY and DISEASE.” It is no surprise that ignorance ranks first among the other upheavals this country aspired to eradicate in 1963. To date, the struggle continues as most of our people are still illiterate. This is the greatest challenge we find with alternative dispute resolution mechanisms and community justice systems. It is our contention that majority of Kenyans are still ill informed of the law. It is a fact that attending school in itself does not guarantee an individual the ability to state they are legally knowledgeable. Most people in Kenya more specifically, outside the capital, Nairobi; interact with the law on utmost necessity. This cannot be solely blamed on the lack of desire but rather the inability to understand the law and where to look for the law. Simply put, not everyone is a lawyer in this country yet the dynamics and operation of a state, nation or society demands that everyone must have a lawyer to interact with the society. In summary what are we saying? It is our submission that ignorance is the biggest challenge that faces access to justice. Provision of legal information is the first step to curing this problem. The next challenge lies with the diversity of our people and the large distances between these people. Kenya covers approximately 582, 650km2. Kenya’s road network has been established to be 160,886 km long. About 61,936km of these roads is classified while the remaining 98,950km are not classified. Of the classified roads, the paved road network has expanded from 2000 km in 1963 to 11,189 km in the year 2009. Marginalized communities are not in a position to access legal services. Even when they do, they end up in the wrong dispute resolution forums. The Honourable Chief Justice Willy Mutunga has among his greatest achievements during his administration increased the judicial infrastructure. There are more court rooms than there were during Rtd. Chief Justice Evans Gicheru’s time. The distances between these courts and their users are still undesirable as the distances covered to access courts outside Nairobi City County are still vast. To promote equal access to justice is a clearly spelt out principle in the Judiciary’s motto. In 2012- 2013 period of review the Judiciary increased the number of mobile courts from five to 20. With an aim to reducing distances to court through innovative approaches such as buying boats to serve Mfangano and Rusinga Islands in Homa Bay County and Lamu in Lamu County the Judiciary clearly understands that there is a need to provide legal services in marginalized areas. The Chief Justice in November and December 2012 visited Isiolo, Marsabit, Moyale in the former Eastern Province and Lodwar, Kakuma, Lokitaung and Lokichar in Turkana County. Areas in Kenya’s former Northern Frontier Districts – Mandera, Wajir, Garissa, Moyale, Marsabit, Isiolo and Turkana – have remained on the margins of administrative, infrastructural and judicial service delivery. In recognition of the marginal status of Kenyans living in these areas, a special consideration was made in planning to accelerate the construction of permanent courts with a stable presence of judicial officers, staff and resources. With the support of the United Nations High Commissioner for Refugees, the Judiciary established a court station in Kakuma and posted staff. A new High Court is being constructed in Lodwar. Suppose this entire infrastructure is created, it is not automatic that other court users such as advocates will easily be accessible to these courts. The roads to reach these places may contribute heavily to the legal costs of procuring the services of an advocate. Most people in these areas cannot even afford a pro bono lawyer as they may even lack the required court fees to file the case. How would someone know that there exists provision for pauper briefs in the courts if they cannot access a lawyer? It is imperative that different players to access to justice work together otherwise we will have empty court rooms in these marginalized areas upon planned completion of the courts. Marginalized areas need to be empowered through provision of legal information. The most efficient and common way of delivering this information can be through the mobile phone network. It is the most probable and economically sufficient method capable of helping the people grow an interest in knowing laws that govern this country and in the end they can get a sense of belonging to a state that has laws and order. It is the only way Article 35 of the Constitution of Kenya can be brought to life and be beneficial to the citizens. Posted on May 25, 2015 October 9, 2015 Categories Access to Justice, ArticlesLeave a comment on KENYA AT 52; THE RIGHT TO BE INFORMED. Ownership, use and management of land are highly emotive issues in Kenya and were one of the key drivers of the push for a new constitution. In fact going back in history, this was the main reason for the fight for independence. Land is man’s most valuable resource, supporting basic and critical needs of food, shelter and business. This is particularly true for Africa where economies heavily rely on agriculture, livestock production, tourism and the exploitation of natural resources. Majority of Kenyans highly depend on the land for their livelihood and subsistence; this includes the agricultural communities, the pastoralists and the hunter gatherer community. The manner in which land is allocated, accessed and managed is therefore central to Kenya’s aspirations to alleviate poverty and create wealth. Prior to the colonial rule, communities in Kenya had their own leadership structures that administered land rights among their members for purposes of activities such as construction of shelter, farming, grazing, hunting and gathering. Communities lived in harmony and occasional fights over territorial claims were resolved by panels of elders. This is typical of what used to happen between the Turkana community and the Pokot. These two communities had a way, a mechanism of solving the differences that arose between them amicably. It was rarely unheard of for Communities to attack their neighbours and kill them. The worst that would happen was cattle rustling. Therefore the question that then remains is what happened over time? The colonial government not only imposed alien land tenure relations, but also introduced conceptual, legal and sociological confusion in traditional tenure systems. This led to far reaching disruption of African customary land tenure system and laws. Customary law and its attendant rights were treated as inferior to the private formal property rights based on English law, newly introduced as the tenure for white settlers. The wisdom of this was that private tenure was the most suitable tenure regime to ensure agricultural productivity. This necessitated a dual system of land law with English law applying to areas occupied by white settlers, and customary law applying to the areas occupied by the natives, the “native reserves.” Therefore late in its tenure, the colonial government initiated a policy of converting customary land tenure to individual private ownership. The Registered land Act was enacted purposely to remove claims to land based on African customary land law. Both the Trust Land Act and the Land (Group representatives) Act were meant to transition customary to individual tenure in areas where immediate individualization of land could not be undertaken. The practice of undermining customary land rights went on until the resistance movement cropped. In response to the violent uprising by the local people, the British Government declared a state of emergency in 1952 which lasted for close to 10 years. In 1961/62, constitutional talks took place in London, which led to internal self government in June 1963 and full independence in December of that year. As a country, the first ever shot that we had at addressing issues of Customary land tenure system was in 2009 when we came up with the National Land Policy (NLP) and later on the Constitution of Kenya 2010. The NLP notes that individualization of tenure has undermined traditional resource management institutions; ignored customary land rights; and led to widespread abuse of trust in the context of both the Trust Land Act and the Land (Group Representatives) Act. The constitution vests community land in communities identified on the basis of ethnicity, culture or similar community of interest. It provides that any unregistered community land be held in trust by county governments on behalf of the communities for which it is held. It defines community land to include: land held by groups under the Land (Group Representatives) Act; land lawfully transferred to a specific community by any process of law; land that is lawfully held, managed or used by specific communities as community forests, grazing areas or shrines; ancestral lands and lands traditionally occupied by hunter-gatherer communities; and land that is lawfully held as trust land by the county governments.The Constitution requires parliament to enact legislation on land within eighteen months from August 2010 when the constitution was promulgated, and on community land within five years. Whether these timelines are by design or by default, one wonders whether they reflect the prioritization of the three land tenure regimes by the drafters of the Constitution. Nevertheless, parliament enacted within the specified timelines, the Land Act and the Registration of land Act to govern all private and public land. The National Land Policy of 2009 is Kenya’s first ever single and clearly defined land policy since independence. Before that the land policy in Kenya, while not articulated in a comprehensive national document, had been driven by a conviction that economic growth requires the transformation of customary land tenure to private ownership. This policy was pursued with remarkable consistency by successive governments over the years, and the extent of implementation has been impressive. As such, the vast majority of commercial, residential, and arable land in Kenya (and much arid land as well) was brought under private individual ownership by a process of systematic first registration. This led to many indigenous people earlier dispossessed of their land remaining landless even after independence. To obtain land, they had to go through the state. This bred a culture of selective land allocation for political support by those in power, inefficiency and corruption. The Constitution requires land in Kenya to be held, used and managed in a manner that is equitable, efficient, productive and sustainable. It also spells out the principles governing land, which are very important for securing community land rights. They include: equitable access to land; security of land rights; sustainable and productive management of land resources; transparent and cost effective administration of land; elimination of gender discrimination in law, customs and practices; and encouragement of communities to settle land disputes through recognized local community initiatives consistent with the Constitution. The Constitution also requires all laws relating to land to be revised, consolidated and rationalized within certain timelines. The Constitution specifically provides for the recognition of community rights to land and designates three tenure regimes: Public, Community and Private. Community land is vested in communities identified on the basis of ethnicity, culture or similar community of interest. Any unregistered community land is to be held in trust by County Governments on behalf of the communities for which it is held. The Land Registration Act gives provisions for revision, consolidation and rationalization of the registration of titles to land, in order to give effect to the principles and objects of devolved government in land registration, and for connected purposes. The Act applies to registration of interests in land under all the three land tenure regimes established by the constitution. The County Governments Act is an act of parliament to give effect to Chapter eleven of the Constitution. It provides for county governments ‟ powers, functions and responsibilities to deliver services and for connected purposes. It came into operation upon the final announcement of the results of the first elections under the Constitution. The County governments, established under Article 176 of the Constitution consist of a County Executive and a County Assembly. The executive authority of the county is vested in, and exercised by the county executive committee which consists of the County governor and the deputy county governor; and members appointed by the county governor, with the approval of the Assembly, from among persons who are not members of the assembly. The County Governments Act lists functions of County executive committees which include implementing county legislation as well as relevant national legislation; managing and coordinating the functions of the county administration; preparing proposed legislation; and providing the county assembly with full and regular reports on matters relating to the county. The County governments through the executive committees thus have a very important role in implementing laws related to community land. The county Governments Act, read together with Article 186 and Fourth Schedule of the Constitution, also assigns the county executive committees a number of roles that relate directly or indirectly to community land. For instance, one of the key functions assigned to county governments is agriculture which has very direct implications for community land. County planning and development is another county government function which directly affect community land. Under this role the county governments are to perform inter alia, land survey and mapping; boundaries and fencing; and housing. Another role of the county governments listed in the Fourth Schedule is the implementation of specific national government policies on natural resources and environmental conservation, including soil and water conservation; and forestry. A lot of such natural resources do occur on community land. The fourth schedule also mandates the county governments to ensure, coordinate, and assist communities in developing administrative capacity for participation in governance at the local level. This role can be relied upon to ensure that communities effectively participate in management of community land. Other county government roles with implications on community land are trade, transport and cultural services such as libraries, museums, sports, county parks, beaches and recreation facilities. In addition to the roles listed in the Fourth Schedule, the Act empowers the county governments to acquire, purchase or lease any land which may include community land, and to implement integrated development planning within the counties as well as within the cities and municipalities therein. There is need to challenge the dominant world view that relegates customary norms of land holding and interests to an inferior status requiring uplifting to the more desirable and superior private/individual ownership status. It is also important to remember that land includes resources such as minerals, wildlife, forests and water. Policies and laws on these resources must take community rights into consideration as entitlements, not charity from the government. Devolved and local governments have a role here to ensure that resources such as wildlife, forests and water are integrated into land rights. Thirdly and in relation to mineral resources, laws on community land must avert the ‘resource curse’ where abundance of minerals could result in the neglect of other economically viable activities such as pastoralism. Pastoralism has been a neglected land use despite its viability in many arid and semi-arid areas. It needs to be recognised–not delegitimized–as mineral resources and their extraction take centre stage. 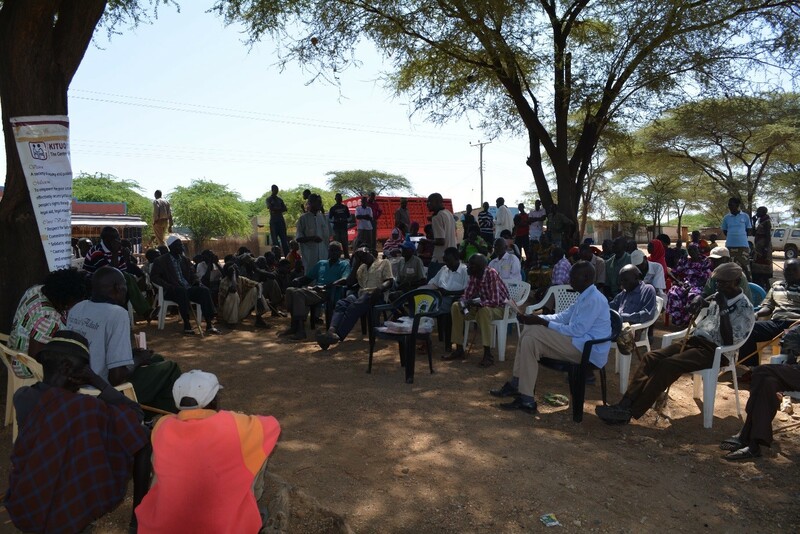 In Turkana–which has been neglected by successive governments and where oil has been discovered–community land rights and land uses must be considered to avoid multiple exclusions of the people as resources are appropriated through rent-seeking and corrupt deals over the newly found wealth. Laws on community land can institute mechanisms for sharing benefits with communities; identification of speculative deals concluded with communities who had no knowledge of the value of the land; requiring that benefits from oil are shared with local communities that have lived on that land for years; and transparency and accountability measures to prevent the use of divide and rule tactics within communities as happened in Kwale in Kenya over titanium. Related to this is the need to address illegally and irregularly acquired community land. Given the opaque way in which community land has been dealt with over the years, there is a likelihood that by the time a community land law is in place, there will be no community land to protect and secure rights over. Scrutinizing dealings on land after the promulgation of the constitution in 2010 in Kenya for instance, can help identify instances of irregular and illegal dealings with community land. The investigation should however also open avenues for redress for community members who have had their rights appropriated illegally and irregularly by powerful members of their communities or by non-members of communities in all the three countries. Kenya has been home to thousands of refugees from neighbouring countries like Uganda during the dictatorial rule of Idi Amin, South Sudan, Rwanda, Burundi, Democratic Republic of Congo (DRC) and Somalia among others. Somali refugees started coming into Kenya in large numbers in the 1990’s. Due to the huge influx, the government of Kenya called on UNHCR to intervene and help manage the refugee situation in the country. In 2006 however, Parliament passed the Refugees Act which established The Department of Refugee Affairs which was mandated to slowly and eventually take over all refugee management matters from UNHCR. The Constitution of Kenya under Article 29 guarantees every person a right to be in a secure place. Security in this instance refers to both physical and social security. In the recent past, Kenya passed a Security Law Amendment Act. This Act was challenged in court and some of the provisions therein were declared unconstitutional. One of the issues addressed in this case was the aspect of refugees. It affected refugees in two ways: the aspect of the capping of numbers to 150,000 and the aspect of encampment of refugees. The issue on capping of numbers was held to be unconstitutional. The reason being that Kenya has international obligations to admit refugees under the 1951 UN Convention. Capping their numbers is unrealistic because we keep on receiving refugees every day. Furthermore other countries in Africa have not really been practicing this. The issue on encampment of refugees was held to be constitutional however rooms for exemptions were put into place. Exemptions would for example be because one needed to be in an urban area because of medical issues or education etc. Kenya has recently had many attacks, the most recent one being the Garissa University attacks where we lost 147 lives. These attacks have often been linked to the large number of refugees that Kenya is hosting in Dadaab refugee camp. These attacks have often been linked with the al-shabaab terror group from Somalia. There have been many cries that the refugees in Dadaab should be returned home to reduce these attacks. The principle of non refoulment is captured in the 1951 UN Convention in Article 33 subject to Article 2(5) and 2 (6) of the Constitution of Kenya and Section 18 of the Refugees Act (2006). It places an obligation on states not to return refugees back to their home countries where they are bound to face persecution on any ground that caused them to flee their country. This was also upheld in the judgment of Petition 19 and 115 of 2013 where Kituo Cha Sheria went to court. Legally speaking Kenya cannot refoulm these refugees. The recent case of the Security Laws Amendment Act (2014) (SLAA) upheld this by stating that Kenya had obligations as a state to uphold this principle. Currently there has been no state in Africa that has managed to refoulm any refugees. The convention is very categorical that an individual who is found to be in breach of the host country’s laws should face the law in that country. In this instance a refugee who is found to be in violation of any right for example participation in the terrorist activities. The law is that they should be tried in the Kenyan courts and if found guilty they should serve their sentence and then returned back to their country. In the instance where a refugee is to be sent out of a country then the law gives a position. The position being that one has to be allowed at least enough time to apply for asylum in a third state. This therefore means that refugees cannot be allowed to go back to their country if the reason for them fleeing their country is still there. However Kenya recently has entered into a tripartite agreement with Somalia. Some Somali citizens have been repatriated back to their home country Somalia. However it is important to note that this repatration has to be voluntary. Every state is under obligation to provide security to its citizens first. In Kenya our constitution provides for this in Article 29. However the government of Kenya should be able to appreciate the need for refugees to be protected also. The encampment policy of refugees in my opinion has not fully contributed to insecurity. We should instead get mechanisms to cure the porous nature of our borders. There is need of striking a balance between obeying international obligations and that of protecting national interests. A proper analysis of refugee security dynamics may lead to the development of policies guaranteeing sustainable peace and security in the refugee camps and in the host state at large. Security agencies should establish a direct link between terrorism and the refugees who reside in the camps before pointing fingers. Make provisions in the law for law abiding refugees who have been in Kenya for a certain period of time to acquire alternative status as a means of durable solution. E.g. permanent residence which does not necessarily have to lead to citizenship. The status may carry limitations with regards to political rights such as voting. Alternative to the encampment policy so as to enable refugees sustain themselves and stop relying on International Organizations for help. For example in neighboring Uganda refugees are given land to till and plant. Setting up of a database to monitor movement and location of refugees and asylum seekers like in Uganda. Amendments to the current Refugees Act that ensures the safety of Kenyan citizens. For example immediate registration on entry into Kenya and reporting to the DRA offices from time to time for monitoring purposes like it is done in Uganda. James Mwangi is a share holder and member of Omega Jua-Kali Association. He was allocated Plot No. B232 in Njiru Location in Embakasi in 1999. In 2005 he started construction work on the piece of land but the construction stalled due to inadequate funds. However, on visiting the site in September 2014, he realized that someone else had begun construction on the same site. On 3rd March 2015, James Mwangi, approached Kamukunji Community Justice Centre asking for legal advice and possible assistance against illegal sale and transfer of his parcel of land L.R.No. B232. Upon investigation, the justice centre established that the same piece of land was sold to Mary Wanja by members and officials of Omega Jua-Kali Association in collaboration with Nairobi City County officials for Kshs. 480,000 without Mwangi’s knowledge after realizing that the development on the said plot had stalled. Kamukunji Community Justice Centre intervened and issued a demand letter to the Director, Nairobi City County Housing Development Department (HDD). The parties were invited for a mediation meeting on 12th March 2015. Each party was advised to avail relevant documents regarding legal ownership of the contested land. The meeting established that Jane Wanjiru Mbugua, (deceased) was the registered proprietor of the land in question. Jane Wanjiru Mwangi was James Mwangi’s biological mother hence her heir apparent and had the right to apply and be registered as the administrator of the deceased’s estate. The centre further established that records held at HDD office indicated James Mwangi as the registered owner of Plot No. B-232. The contested land has since reverted to James Mwangi. The discovery of oil in Turkana County, Kenya has attracted the attention of different actors at all levels. Since the oil exploration begun a couple years ago, the County is evolving to become the next frontier of development in Kenya. On Thursday, May 7th 2015 Kituo Cha Sheria will launch a report as an outcome of a quantitative and qualitative survey which was conducted in October 2014 by KITUO. Firstly, the discovery of the oil in Turkana is largely perceived as a blessing to the County due to its promise and potential to trigger socio-economic development. Already, the oil industry attracts different types of investments ranging from small to medium businesses, has triggered infrastructure development (e.g. roads) and offers skilled and unskilled employment opportunities. Secondly, and on the other hand, the on-going oil exploration activities are associated with negative outcomes such as loss of ancestral and grazing land, economic exclusion (e.g. inaccessibility of jobs by locals), insecurity and environmental degradation. Thirdly, these problems are sources of environmental and human rights violations and clearly remind us of the trade-offs which are often inherent at the development-environment-people interfaces. Fourthly and consequently, the discovery of oil exploration in Turkana has fuelled much debate on whether the benefits will surely and adequately trickle down to the local communities whose livelihoods are directly linked to the natural resources and the environment. Lastly, findings from the survey recommends the importance of reconciling environment and development by minimizing trade-offs (e.g. conflicts over oil related resource) and reinforcing synergies (e.g. integrating local perspectives and addressing their needs) in order to foster sustainable development. This requires well thought out strategies such as empowering local people to protect their rights and access socio-economic and environmental justice; building strong partnerships and encouraging collaborative initiatives (e.g. between private, public and civil society organizations), promoting public participation and consultations, accountability and transparency etc. The report concludes that these strategies can work if there is good will and in so doing, the people of Turkana can be lifted out of poverty which is an important target for the Post 2015 sustainable development goals. The transformation of Kenya’s political governance system under Vision 2030 will take place across six strategic areas: rule of law; electoral and political processes; democracy and public service delivery; transparency and accountability; and security, peace building and conflict management. The need for justice and governance cuts across all of these areas. Vision 2030 has also been central to tracking positively the Millennium Development Goals (MDGs). The MDGs are ending this year, to be replaced with the new Sustainable Development Goals for Post 2015. While there is much continuity in these agendas there are several new areas which all UN member states will be expected to report against. Justice is one area which has been added to the global agenda with states being called on to “promote peaceful and inclusive societies for sustainable development, provide access to justice for all and build effective, accountable and inclusive institutions at all levels” (Goal 16). There is a fair degree of consensus around the challenges related to justice in driving contemporary violence and conflict. The Organization for Economic Co-operation and Development (OECD) highlights impunity, ineffective criminal justice systems, as well as inequality, poor governance and corruption – with the United Nations Development Programme (UNDP) providing a very similar list. These must be addressed if Kenya is to have a strong justice system able to resolve conflict and combat extremist violence. Significant evidence has demonstrated the central importance of state-society relations in fostering less violent, more sustainably peaceful societies; where states and social institutions fail to provide basic justice, security and economic opportunities for citizens, conflict and violence can escalate. According to a 2011 World Bank Report on conflict, security and development, countries with reputable justice systems are better equipped to prevent and mitigate conflict, crime, and violence. A 2012 Saferworld report on key challenges to security highlights an analysis of 280 country surveys in Africa and Latin America showing that countries that are not fragile or overtly affected by conflict have significantly higher levels of trust in the police, the justice system, and parliament. Evidence shows that legal empowerment interventions—when designed and executed intelligently—can make the law work for people, even in broken or weak systems. Legal empowerment interventions have strengthened the ability of people to equitably resolve conflicts; to seek protection from violence and to navigate the criminal justice system. Substantial research suggests that it is crucial—both for preventing conflict and for fostering development—that citizens have access to practical remedies when they face injustice. In Sierra Leone there has been recognition that one of the factors that drove young men into joining the insurgency during the country’s civil war was a lack of access to a remedy when faced with local injustice, often at the hands of traditional courts. 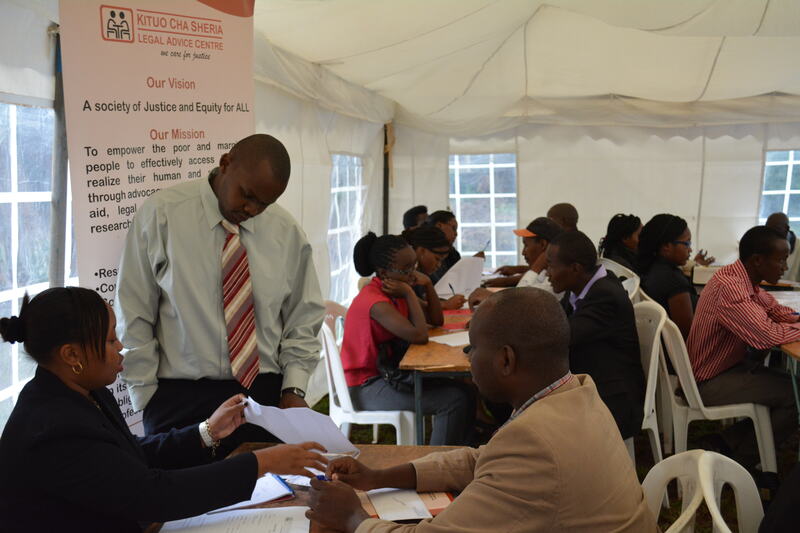 Kenya has already taken many steps towards improving legal empowerment and access to justice for all citizens. These include; the adoption of the Constitution of Kenya 2010 with focus on Article 48- Access to justice for all, the establishment of the government sponsored National Legal Aid and Awareness Programme (NALEAP) and the continued provision of legal aid by different civil society organizations. In the wake of extremist violence, Kenya must continue to strengthen these gains and ensure equal access to justice for all. Insecurity and crime have been identified as major challenges to the right to life in both urban and rural areas of Kenya. The rise of violent crime over the past few years has heightened the sense of insecurity among citizens. Still, many crimes continue to go unreported; citizens have cited police corruption, brutality- including extreme examples of extra judicial killings – as reasons for not reporting crimes. Citizens must be encouraged to report crimes and complaints, including those against the police and law enforcement institutions, and once reported, have action taken in a timely manner. Multiple actors have a role to play in creating these routes to justice, since public security is the responsibility of all there is need for partnership between the police and prison services, government departments, civil society organisations, legal aid service providers and citizens. While there is no one reason to explain why people join extremist movements, desperation, criminality and power hungry are highlighted most commonly as motives. One which is often overlooked is the role of the government. A 2014 Carnegie report illustrates that a loss of state legitimacy leads to increased violence, with new research showing that extremism is not born out of desperation alone, but as a reaction against corruption. This report highlights that when governments systematically behave in criminal or unjust ways, the ‘very fabric of society begins to fray. High-level organized corruption underestimates the agency of ordinary people – their perceptions of corruption and the increasing tendency of populations to lash out violently against governing systems they can no longer tolerate’. Moreover, acutely corrupt governance can provide havens and logistical support for those very groups governments are trying to tackle, as officials look the other side in exchange for a bribe. A renewed effort must be made to tackle corruption as part of efforts to combat violent extremism. A reputable justice system can tackle corruption and improve the accountability of government efforts. A UNDP research has shown that inclusive service delivery and anti-corruption measures further enhance trust and legitimacy of institutions. In addition, right to information (RTI) laws present a significant opportunity for building responsive governments. Reports looking at the power of using right to information laws in Bangladesh and India in social accountability illustrate how RTI laws are being used today to uncover corruption and press for effective delivery of state services. Kenya is on the right track with the Access to Information Bill 2013 ready to be introduced in Parliament and advanced efforts at establishing the International and Organized Crimes Division which aims, among other things, to combat all forms of organized crime, including terrorism. Countries with lower levels of poverty and inequality are better placed to combat violent extremism. In the just concluded post-2015 intergovernmental negotiations on means of implementation and global partnerships for sustainable development held on the 21st -24th of April in New York, Ambassador Macharia Kamau stated inequality within our country has become one of the most pressing and undermining drivers in our democracy and to our peace and security in our own country. The World Bank demonstrated the relationship between conflict and poverty noting that ‘a country that experienced major violence over the period from 1981 to 2005 has a poverty rate 21 percentage points higher than a country that saw no violence’. The Geneva Declaration completed a statistical analysis on the impact of conflict and armed violence on the MDGs, finding that there is a direct relationship between homicide and poverty levels, asserting that higher poverty levels tend to go hand-in-hand with higher levels of violence. In addition, according to the World Bank, terrorist violence reduces foreign investment, with a “doubling of terrorist incidents in a country estimated to reduce bilateral trade with each trading partner by some 4 percent”. Conversely, research by the Institute for Economics and Peace shows that per capita income increases as peacefulness increases. Enabling people with access to justice is essential to combating poverty in a meaningful way; it allows people to exert control over their lives, to earn money and protect their livelihoods. The consequences of weak legal empowerment are practical and debilitating. When people cannot resolve their grievances in an equitable manner, they cannot run their businesses, own property or access essential services. Many people are forced to take matters in their own hands. Consequently, crime and exploitation flourish. In addition, citizens must be able to understand, use, and improve the laws and institutions that govern them. Legal forums for obtaining redress and resolving conflicts must be effective. Justice systems must apply the rule of law consistently, adopting measures that account for social and economic barriers. These related principles strengthen the legal empowerment of all people, enhancing their ability to demand justice. It is recommended that to break cycles of insecurity and reduce the risk of their recurrence, national reformers and their international partners need to build the legitimate institutions that can provide a sustained level of citizen security, justice, and jobs—offering a stake in society to groups that may otherwise receive more respect and recognition from engaging in armed violence than in lawful activities, and punishing infractions capably and fairly. It is indeed hoped that through post-2015 agenda, most specifically Goal 16 on access to justice, that durable holistic solutions will be found in the fight against terror.